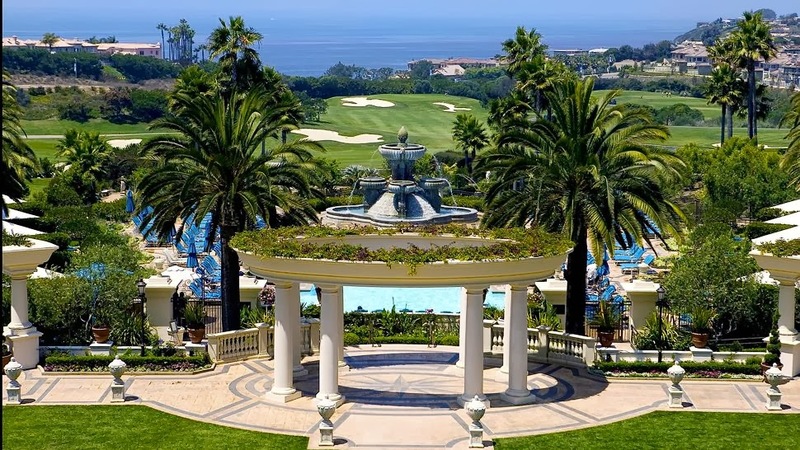 Plan a visit to the Forbes Five-Star, AAA Five-Diamond resort, St. Regis Monarch Beach, in pretty Dana Point California and enjoy the award-winning accommodations as well as Exclusive Complimentary Perks when you book your travel across WhataHotel!. This stunning resort is situated on a perfectly pristine beachfront and features many fabulous amenities that are sure to bring each and every guest a lot of joy. Experience SoCal in one of the most legendary resorts in the area, St. Regis Monarch Beach. St. Regis Monarch Beach has the honor of many prestigious awards which makes it one of the Best Hotels in Southern California. This exclusive private beach club allows guests to lounge by the sea in a secluded setting, or head to one of the three resort swimming pools including the main pool, the family friendly lagoon pool and the 3-lane lap pool located in the state-of-the-art fitness center. For guests that are traveling with young children, check out the Sandcastle Kids Club and if you are in need of a bit of pampering and relaxation, the Spa Gaucin is the place for you. Of course the luxurious rooms and suites are filled with gorgeous linens and stylish decor that will calm and comfort you while away from home, and the six ocean-view restaurants serve up delicious menu selections that are artfully presented in some truly inspired settings. Golf lovers can enjoy the on-site championship Monarch Beach Golf Links or head out to explore Southern California and the multitude of nearby attractions. Dana Point is a great place for travelers of every age, for those history buffs and even the fashionistas, there really is something for everyone close by. When you plan your time in Dana Point with a stay at St. Regis Monarch Beach, guests can rest assured that they are staying in a resort that strives to provide extraordinary service and posh accommodations. When booking your stay across WhataHotel! 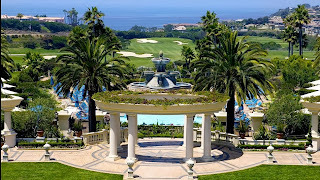 at St. Regis Monarch Beach, guests can savor some fabulous perks that are unforgettable. These Exclusive Complimentary Perks include available upgrades and check-in, full breakfast for two daily, and a $100 food and beverage credit. This dramatic award-winning resort continues to thrill guests with its brilliant views of the Pacific, the custom-designed furnishing in the lavish rooms and suites, original artwork hanging throughout the resort and a staff that does its best to anticipate your every need. Get ready to fall in love with Orange County, nestled in charming and chic SoCal. This picturesque landscape is the perfect place for a hotel of this caliber. St. Regis Monarch Beach is alluring in absolutely every way.